Take a walk through Tocumen International Airport Terminal 1 at peak times and it’s easy to understand why it’s often called ‘the Hub of the Americas’. 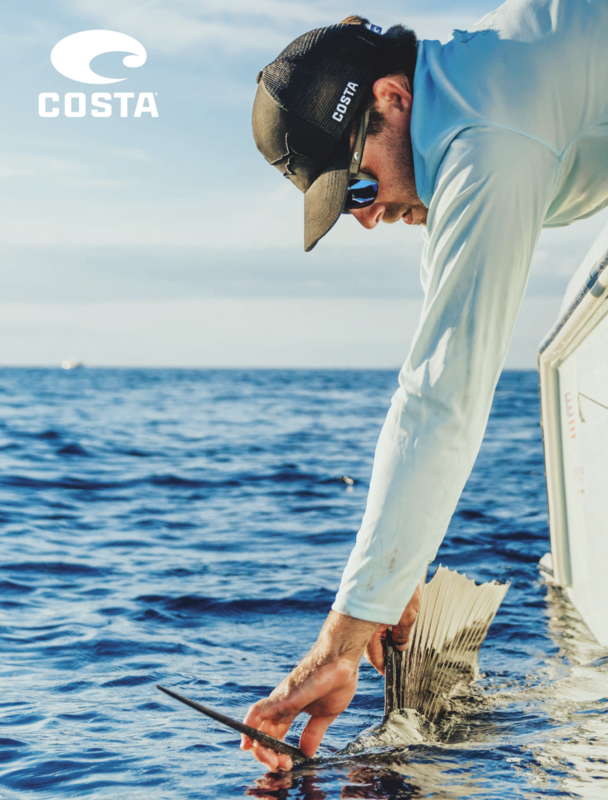 Through Copa Airlines, which is based in Panama, and numerous other carriers, it connects North America and the Caribbean with Latin America. The central concourse in Terminal 1 is a busy, bustling street, leading out towards the piers, with a jumble of stores dotting each side as you walk. After capturing two of the three ten-year duty free contracts for T1 in 2017, and starting operations last year, DFA occupies the most visible spaces facing travellers as they enter through security check. The company also represents the airport’s major source of commercial income, having guaranteed, according to the airport, around US$1.2 million per month per concession for the contracts. 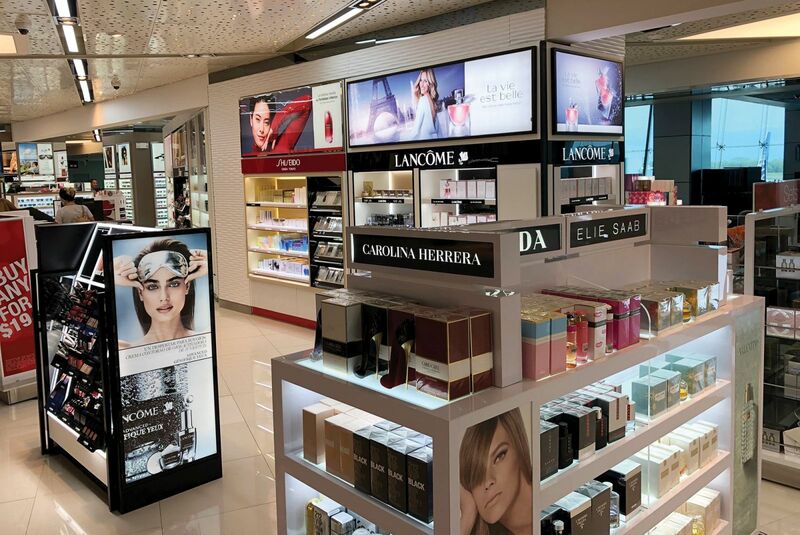 Prime position: DFA occupies the most visible duty free space at Tocumen T1, with the exciting prospect of T2 opening later in the year. 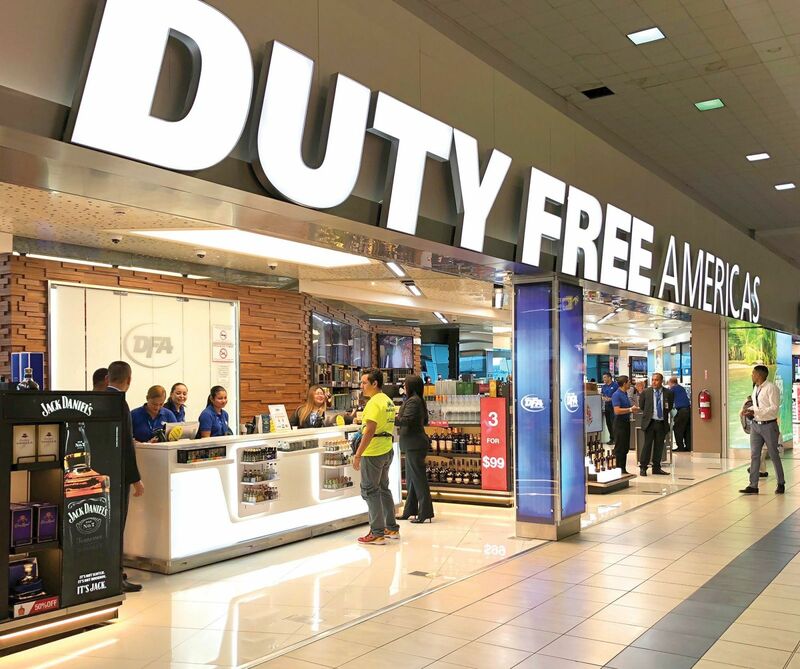 In the new T2, which will extend capacity at the airport to around 25 million passengers (it handled 15.6 million in 2018), DFA will not only run one of the two duty free concessions, but also news & gifts (exclusively) and several food & beverage outlets. The new T2 promises a transformation in the traveller experience – from the often cramped journey though T1 to the open expanses of T2 – and a big opportunity for the retailer to deliver what will become a regional flagship operation. Power category: P&C is one of the growth sectors at Tocumen, buoyed by a mix that appeals to the dominant Latin American shopper base. There is more work planned in the T1 stores too, to encourage travellers to enter, to browse and to buy. One main wall in the liquor store will be opened out to allow for better visibility. Among other projects, a new sunglasses store opened recently (in a category in which DFA has upgraded significantly across its estate), with a watches range to be added, featuring Tag Heuer, Longines and others. Soon a Victoria’s Secret shop-in-shop will be added to space recently taken over at one end of the main P&C store in departures; the brand is exclusive to DFA at the airport. The major spend at Tocumen comes from Latin Americans (70% of traffic is transit), but the shopper base is becoming more diverse as routes open up to Europe and even to Asia. 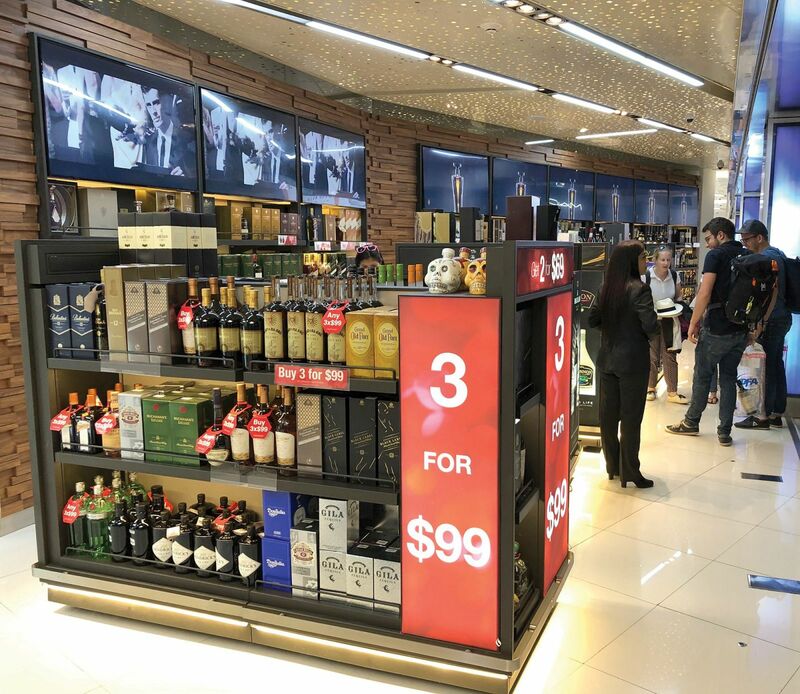 The value message is a vital one in the stores here, with US$99 for three bottles of spirits a strong and prominent marketing hook. Johnnie Walker, Chivas Regal and Buchanan’s are core Scotch ranges, but single malts are growing, led by an impressively wide selection of The Macallan. Cognac attracts the growing Chinese visitor base, there is a solid (and largely exclusive to DFA) wine offer, and out-sized bottles up to three litres are popular too. 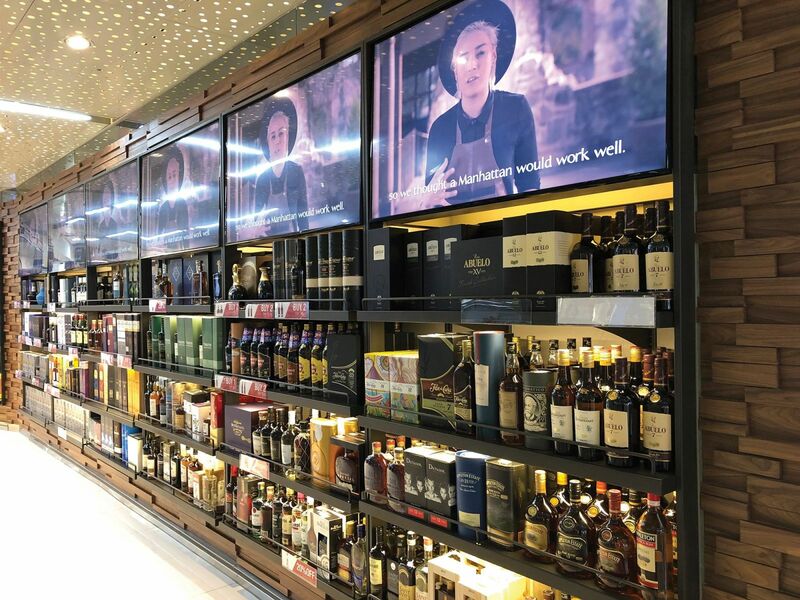 Moving pictures: All of the major DFA stores we visited in our multi-trip tour featured strong digital displays, enhancing the visibility of partner brands. With much repeat traffic at Tocumen, the value for money message is critical; DFA says its ‘3 for US$99’ resonates strongly in spirits. 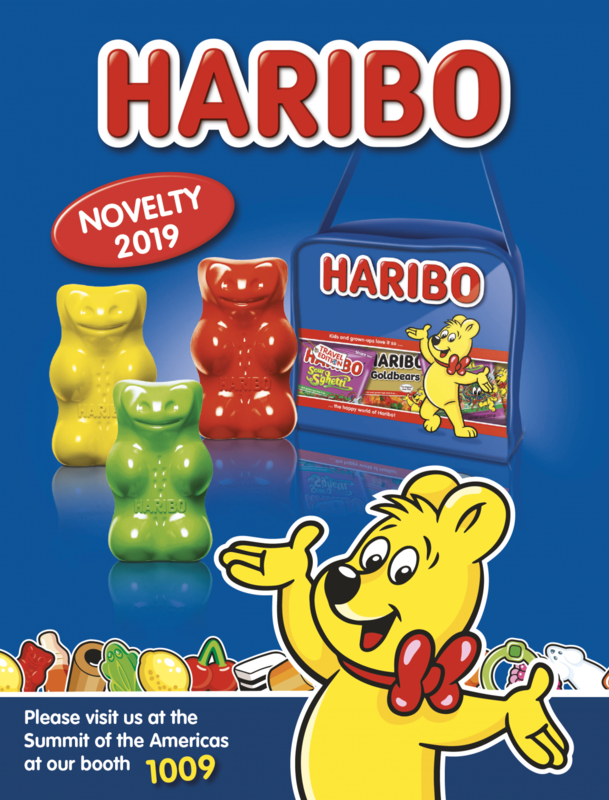 DFA also sells its own liquor brands, with Shannon cream liqueur, Bear Hug liqueur and Caribana Sol rum adding a different dimension to the mix (as does own brand Perry Ellis fragrance, for which Falic Fashion Group is the worldwide licensee). The beauty business at Tocumen is key, and relies heavily on offering brands not available in the South American market. Leading international houses such as Chanel, Dior, Lancôme and Clarins all perform strongly. Regional powerhouses Carolina Herrera and Paco Rabanne are supplemented by brands that over-perform among Latin travellers such as Dolce & Gabbana, Givenchy, Montblanc fragrances and Azzaro (the latter among Brazilians especially). 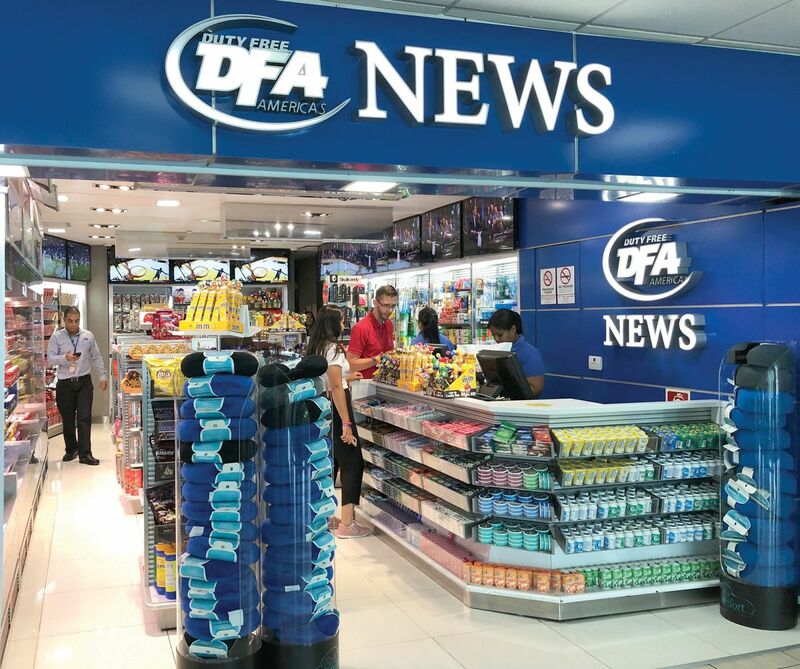 DFA News: The company runs the exclusive news & gifts concession at Tocumen Airport through its in-house brand, for which it has wider ambitions. Victoria’s Secret features prominently inside the stores in advance of the boutique opening to come – with L Brands’ Bath & Body Works also doing well – while a new Gucci wall bay reinforces the importance of this hot luxury brand to fragrance shoppers. With a new terminal just months away (the opening date is unclear but likely to be in summer), renovated space in T1, fresh fixturing and some new brands, Panama is set to play a central part in determining DFA’s success in Latin America. In North America, much the same applies to Miami International Airport, the cornerstone of the company’s airport network, as we report on the next page. That’s the upbeat message from Jerome Falic about the company’s reputation among its brand partners. 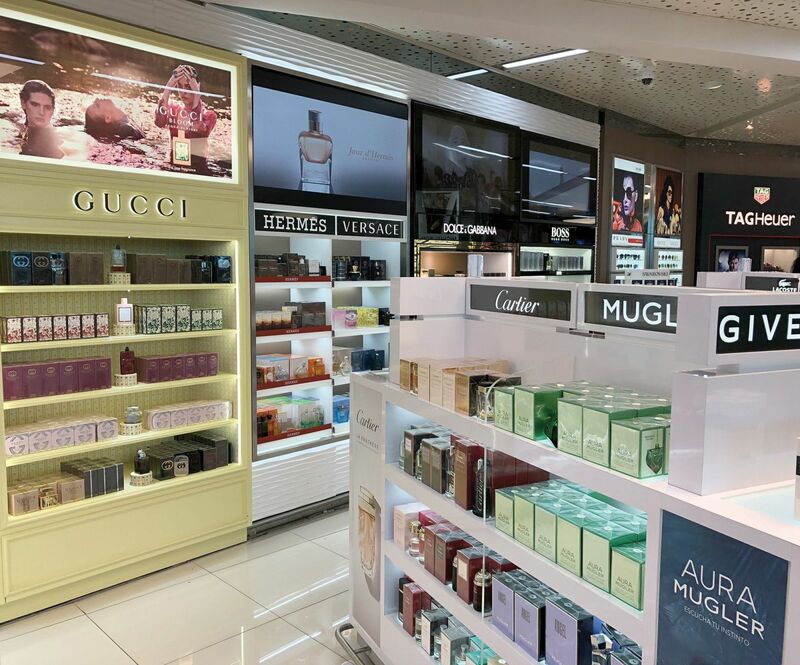 DFA has come a long way, he says, since beauty brands in particular were concerned over the company’s previous ownership of a discount perfumery chain. He is also agnostic about the value of travel retail exclusives, with certain exceptions. “I like the value packs, two-for-ones, those that add value. Shoppers can be encouraged towards them. Otherwise they are limited. Very few travellers come in and ask us what we have that is only for sale at the airport. “We used to see more summer fragrances or other one-offs, made more by the brands to suit their own pipelines and to build their numbers. That doesn’t happen as much now; it becomes an inventory nightmare for them and for us. One brand the company isn’t working with is The Estée Lauder Companies, following a long and bitter court case that ran from 2012 to 2016. It means that the biggest US duty free retailer and one of the great global beauty groups no longer do business. Might that change in future?